Your brain and the planet are made up mostly of water. It’s no joke. You can’t live without it. 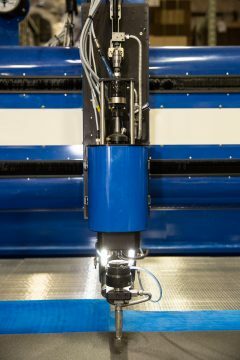 We are one of two companies in the world with a 5-axis system that contours and bevels better than Dorothy Hamill on ice, so we don’t think you should live without our waterjet cutting services, either. Have questions about waterjet cutting?